After almost one year… I’m back! It's so important to have a goal, specifically fitness goal. I believe that having a fitness goal not only helps you get fit, but it also teaches you the mechanics of how to set and achieve a goal. I hope you enjoy this episode. Chris Janke-Bueno is a personal trainer and a owner of my core balance. We offer personal training in San Jose, California, as well as online programs. For more information, visit www.mycorebalance.com. Thanks for listening. It's great to push and aspire to do great things, yet sometimes mother nature has other plans. This past weekend I was completely floored with a 24 hour flu bug that had other plans for me. It's great to be back, and my energy is still coming back too. So bear with me during this slower paced episode. I hope you enjoy this episode Chris Janke-Bueno is a personal trainer and owner of My Core Balance personal training studio in San Jose, California. For more information on our programs, such as one on one training, semi private fitness training, and online fitness programs, Visit www.mycorebalance.com. Thanks for listening! We all love that chia pet commercial, don't we? I didn't even know that she is seeds were edible until about five years ago, but now that I do and now that I have consumed them they are one of my absolute favorite foods for many reasons. In this episode I talk about how amazing chia seeds are. Chris Janke-Bueno is a personal trainer and owner of My Core Balance personal training studio in San Jose, California. For more information on our personal training, semi private training, and online programs visit www.mycorebalance.com. Thank you so much for listening! #62: Not Working? Change It! How often do we suffer through life, and accept things that we don't want? That's just the way it is we might say. Sometimes we just need to stand up and change it. No big deal, just make the move. In this episode I share a quick story about my realization that I needed to change a very small part of my life. Very very small. But the way we do anything is the way we do everything. So in reality, this was not a small thing, but rather the way that I represent myself in my life. I hope you enjoy the episode. Chris Janke-Bueno is a personal trainer and owner of My Core Balance personal training studio in San Jose, California. For more information on his programs visit www.mycorebalance.com. Thanks for listening! What's your goal? What's your vision? Thank you to Positive Vibes for the call in to my show. I really appreciate you sharing your vision for 2018. I hope you enjoy this episode of the Inspired Life Podcast. Chris Janke-Bueno is a personal trainer and owner of My Core Balance personal training studio in San Jose, California. For more information on our programs visit www.mycorebalance.com. Thanks for listening! If you've been struggling for sometime to lose the extra weight, and now that everyone is setting a New Year's resolution you are thinking about it again, this is your episode. In this episode I talk about the very practical, simple, safe solution to simple weight loss. I hope you enjoy this episode. Chris Janke-Bueno is a personal trainer and owner of My Core Balance personal training studio in San Jose, California. For more information on our programs visit www.mycorebalance.com. Thanks for listening! 93 percent of New Year's resolutions fail! Four out of five resolutions or health and fitness related. In this podcast I talk about how to get into the seven percent. You can succeed. I hope you enjoy this episode. Chris Janke-Bueno is a personal trainer and owner of My Core Balance personal training studio in San Jose, California. For more information on our programs, visit www.mycorebalance.com. Thanks for listening! 92% of New Year's resolutions fail! This is an astounding statistic. In this episode I talk about the necessity of approaching your goals from the standpoint of what you can control, which is your actions. If you focus too much on the end goal, there's less control and less power. I hope you enjoy this episode Chris Janke-Bueno is a personal trainer and owner of My Core Balance personal training studio in San Jose, California. For more information on our programs visit www.mycorebalance.com. Thanks for listening! This podcast is my platform to talk about strategies that I have in order to live and inspired life. But I don't want to give the impression that I always feel inspired. I don't! What's important are the lessons that I learned through those down points, Which is what I like to share here in the podcast. I hope you enjoy this episode. Chris Janke-Bueno is a personal trainer and owner of My Core Balance personal training studio in San Jose, California. For more information on the programs of My Core Balance visit www.mycorebalance.com. Thank you so much for listening! Happiness is not always possible, but we can strive to be content through life's ups and downs. In this episode I talk about how I distinguish between happiness and contentment. I also speak about joy versus contentment. I hope you enjoy this episode Chris Janke-Bueno is a personal trainer and owner of My Core Balance personal training studio in San Jose, California. For more information on his programs, both online and in studio, visit www.mycorebalance.com. Thanks for listening! Many of us are pursuing goals because we think they'll make us feel a certain way once we have them, but I think we have that backwards. In today's episode, I talk about how being happy and joyful will actually produce the results that you want. And we can choose at any moment to be happy and joyful regardless of what is happening in our outside world. I hope you enjoy today's episode. Chris Janke-Bueno is a personal trainer, motivational speaker, author, and business owner. For more information visit www.mycorebalance.com. Thanks for listening! If you have a goal you want to achieve, all you need to know is where you are and where you want to get to. Gradually, as you are taking the steps to get to your goal, you will be able to reassess where you are, change direction, and chart a new path. It's vital that you keep reassessing, being realistic and knowing that you can only take one step at a time. I hope you enjoy the episode. Chris Janke-Bueno is a personal trainer and owner of My Core Balance personal training studio in San Jose, California. For more information on our online programs, visit www.mycorebalance.com. Thanks for listening! #47: Analysis Paralysis - GO!! What I found is that most decisions, even really big decisions, don't require that much thinking. Once you decide to do it, just do it. It's hard to know whether or not something is a good idea unless we've actually tried it. The hesitancy to just go for our goals comes from the fear of being embarrassed or seemingly failing. There's no such thing as failure unless we quit. I hope you enjoy the episode. Chris Janke-Bueno is a personal trainer and owner of My Core Balance personal training studio in San Jose, California. For more information on our programs visit www.mycorebalance.com. Thanks for listening. Got a question today from Tony about my story. Probably a lot like your story… Doing the best I can with what I have. Getting better every day, most of the time. I hope you enjoy the episode. Chris Janke-Bueno is a personal trainer and owner of my core balance personal training studio in San Jose, California. For more information on our programs visit www.mycorebalance.com. Thanks for listening! We don't need to be perfect to live the life of our dreams. We just need to be improving every day. When we make it our mission to improve, then we don't get so bogged down with perfectionism. In this episode, I dive into improvement, and what that means for us as individuals who are trying to get to the next level. Chris Janke-Bueno is a personal fitness trainer and owner of My Core Balance personal training studio in San Jose, California. For more information on our programs, visit www.mycorebalance.com. Thanks for listening! Recording the segment almost brought me to tears, as I recalled the effort and struggle over the last 12 years of building up a business. In 2008, I closed the doors of my first business Functional Strength Training. I went through three years where I was training one client in his living room. Then, 2011 I started up my current business, My Core Balance. Now I'm far from my end goal, but getting this far took faith and perseverance: tenacity. When you are endeavoring to achieve any goal, you will most likely want to quit multiple times. That is normal. Keep going anyway. Chris Janke-Bueno is a personal trainer and owner of My Core balance personal training studio in San Jose, California. For more information on our programs, visit www.mycorebalance.com. Thank you for listening! Ever get to a place in your life where you're forced to make a big decision? Have you ever been so indecisive about you just did nothing? In this episode, I talk about the value of just making a decision. Sometimes we're not sure where a path will lead, and the only way to find out is to actually take that path. Then, if it turns out to be the wrong path you can always readjust. Ultimately, we can only act in the present time. I hope you enjoy this episode. Chris Janke-Bueno is a personal trainer and business owner of My Core Balance personal training studio in San Jose, California. For more information on our programs visit www.mycorebalance.com. #40: Slow & Steady Wins... ??? We've all heard the saying slow and steady wins the race. The tortoise beats the hare. But is there a time to go fast? Of course there is. In this episode, I talk about when you want to act quickly, and when you want to really take your time and go slowly. I hope you enjoy this episode. Chris Janke-Bueno is a personal trainer and business owner. He started My Core Balance in 2011, which is a personal training studio in San Jose, California. For more information on our programs, visit www.mycorebalance.com. Thanks for listening! If you are a goal setter, go-getter then often times you might want your goals right now. In this episode, I talk about the value of taking just a single step today. It's all about the little things. I hope you enjoyed today's episode. Chris Janke-Bueno is a personal trainer and owner of My Core Balance personal training studio in San Jose, California. For more information on our programs, visit www.mycorebalance.com. Thanks for listening! In this episode I talk about the value of seeing the big picture… The really big picture. Sometimes in the hustle and bustle of life we get so bogged down with details that we forget how great this life is. Thank you so much for listening, and if you have a comment or question feel free to email me Chris at my core balance.com. Chris Janke-Bueno is a personal trainer and owner of my core balance fitness in San Jose, California. For more information visit our website at www.mycorebalance.com. Thanks for listening. Remember before smart phones when occasionally he would have to stop at the gas station and ask for directions? Sometimes it might feel like our goals are very hard to reach, or we don't know how to get there. At these times, we need to stop and ask for directions from somebody who has achieved those goals before. Thanks for listening to the episode. 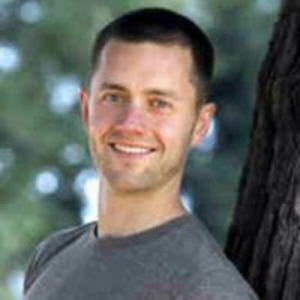 Chris Janke-Bueno is a personal trainer and owner of My Core Balance personal training in San Jose, California. For more information visit www.mycorebalance.com. Often times after we face big challenges in our lives we look back and see these challenges as blessings. Usually we see that these challenges have helped us grow in someway. In this episode, I challenge you to think of these challenges as opportunities that that help you grow while you're going through them. Think of them like workouts. The challenge you just enough to help you grow. I hope you enjoy the episode. Chris Janke-Bueno is a personal trainer and a owner of my core balance personal training studio in San Jose, California. #28: It's a Great Life! I'm recording this podcast sitting in the middle of a park. I'm literally stopping to smell the roses, remembering how fortunate we are just to live where we live and when we live. In the midst of all your struggles, take at least some time to remember how good we all have it. This helps create perspective, which can ironically help to drive us forward. … Chris Janke-Bueno is a business owner, personal trainer at My Core Balance, and wannabe motivational speaker. I hope you enjoyed this episode. Please go out and share it with anyone who you think would benefit from it. Thank you for listening. Thank you for the call-in to the show. I really appreciate the fact that so many of us are going through such similar experiences, and it helps us stay strong together. Thank you My name is Chris Janke-Bueno, and I am a business owner, fitness lover, and hopefully motivating to those of you who are listening. My fitness business is called My Core Balance, and it is a personal training studio in San Jose, California. Our website is www.mycorebalance.com. Thank you for listening! Happy Thanksgiving! Being thankful is a powerful human emotion. And we can be thankful regardless of what is happening on the outside in our world. Our inner world is determined by our decisions, and it is always in our control to be thankful. Chris Janke-Bueno is an author, motivational speaker, and business owner. He operates www.mycorebalance.com, a system to achieve all your fitness goals without injuring yourself. Super fun episode for me, I got out my old guitar and started jamming a song that I wrote in college. We all have dreams. Sometimes we suppress ourselves because we think we might fail big. But there's no such thing as failure, only feedback. You only fail if you stop trying. We all have times when we don't feel so good, either low-energy or just not feeling ourselves. Sometimes we don't realize it, but we spend a lot of time in our heads. It's vital that we reconnect with our body every day. Here's a practical strategies to help you do that. We all want to be remembered, we all want to leave a legacy. But how do you do it? In this episode I talk about one practical thing you can do to get in the habit of giving. Monday morning used to get me down, and it is so depressing for so many people. But why? There's no reason why Mondays should be so gloomy. This is your chance to contribute! This is the first day of the week. This is the game that we are playing, just like when we used to play sports as kids… We are putting on our jerseys and suiting up. Let's love Mondays. By focusing more on what you want and less of what you've got, you begin to become a solution oriented person. When a problem arises, identify it and move on towards finding solutions. Spend most of your time in the vision of that life that you want to create. Chris Janke-Bueno is a personal trainer, gym owner and inspiring motivational speaker. We've all heard that we need to believe in ourselves. But how do you do that? Here is a very simple strategy that I use, and has made a world of difference in my life. Basically, you ignore reality to a certain extent, and you begin to play out in your mind the life that you want to live. Do this every day for the rest of your life, and I guarantee you you will absolutely live the life that you want to live. Here's your challenge: do this at least every day for 30 days. At the end of 30 days send me a text message at 408–883–4442. Sometimes it's easy to get pulled into the day-to-day hustle and bustle. Sometimes there's little meaning to be found. I find it helpful to employ this simple strategy to squeeze the most out of your day, and therefore your life. Live the life of your dreams! Achieve your goals! You can do it! Believe in yourself! There's so much turbulence in the world, especially in the political realm. We're not going left or right today, just an invitation to at least listen to each other. If your life seems chaotic and disorganized, where do you start with putting the pieces together? I've developed this simple system for myself, and it has worked very well. You start with the umbrella of organization. Divide that I'm Barela into time, space, and money. If you organize your time, or your schedule, and then organize your house and car, and then organize your money and make sure you are cash flow positive… Your life will start to work. Sometimes you even wake up with problems. They've been running through your head all night. You are stuck in the mud of a problem. Solving them means getting out of the mud, cleaning yourself off, and getting above all your problems in your mind so that you see them in context with everything else. Then you can think creatively about a solution to that problem. Because there's always a creative solution to every problem. Ever get down on yourself? Do you ever get so stressed out that you just want to curl up in your own cocoon and not talk to anybody? That may be the worst thing that you can do. The best thing that you can do is to brighten somebody else's day, because that will in turn brighten yours. Feel better by connecting to people and realizing that we are going through similar circumstances. Do you ever find yourself stressed out? Silly question, right? In our hectic day-to-day commotion, sometimes it's challenging to de-stress and start to focus on the life that we want to live. But oftentimes it's as simple as a little perspective. Let's chat. The key to getting what you want is focusing on what you want. Notice how often you focus on what you do not want. At those moments, calmly redirect yourself and begin to think of solutions to what you are complaining about. #7: Build Your Ideal Day... Now! Achieving your dream life rests on you building your dream day. Let today be a brick in the house of your dreams. Get started today with this simple activity. How do you go about living your dream life? The answer is simple, yet sometimes the simple answer that is right in front of our face fails to make it into our daily lives. The key is to put it in your daily life today. Let's chat. How do we build a life that we are proud of? The answer is simpler than you think. Working hard is great, putting in the extra effort is great, but sometimes it's as simple as dropping what is not necessary. How much does personal expression affect your health? #3: Be nice no matter what! Building quality relationships depends on managing your own state. No matter how pissed off you are, you can control how you treat other people. It's so important to be nice, respectful, and fight fair. This is a quick introduction to the Ask Trainer Chris podcast. And a quick call to action to use the Anchor app to call in with your questions. I would love to feature you on my show. #1: Hi! This is my first episode.